A new verb for the dictionary: to be Zagged – to be beguiled and bewitched by the opposition skipper to the extent that you agree with anything he suggests. Maybe it was playing cricket in October that wrongfooted KCC skipper David or maybe it was lack of sleep after a late night, but whatever it was David was well and truly Zagged – hook, line and sinker – by opposition skipper Adrian Zagoritis, or Zag, during the course of this fixture played out under a wan autumnal sun. As the 2 skippers are walking out to the middle to conduct the toss, Adrian explains to David that due to the unseasonal nature of the fixture, he has lots of his regulars missing, 3 kids playing and only 3 batsmen in his team. 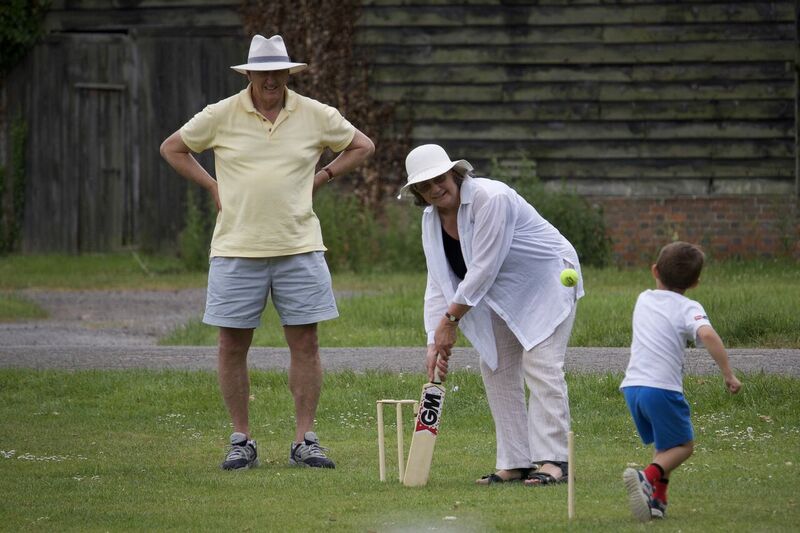 David ‘sportingly’ offers to bat first on a damp pitch ‘to make a game of it’. Kensington proceed to negotiate the ensuing variable bounce creditably with only Sledge failing to make double figures. He will impact the game spectacularly in the field instead. 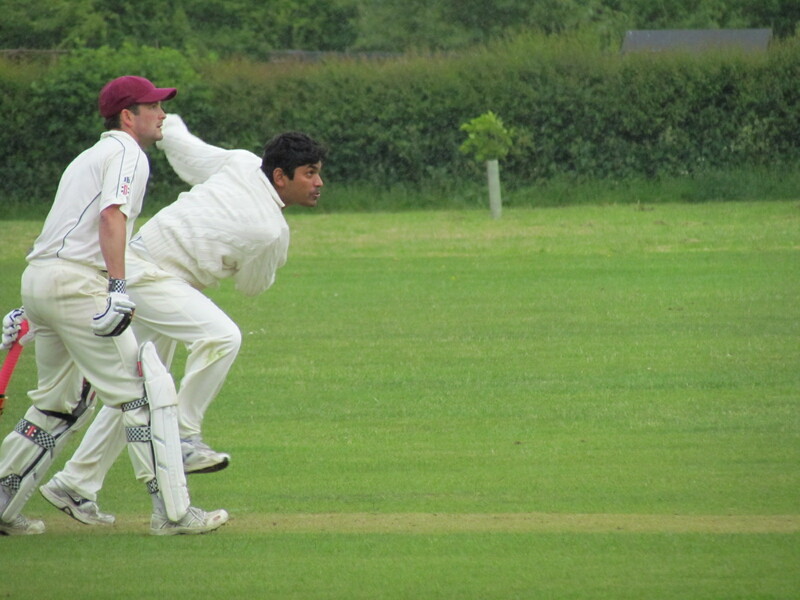 Preet unfurls some textbook cover drives. 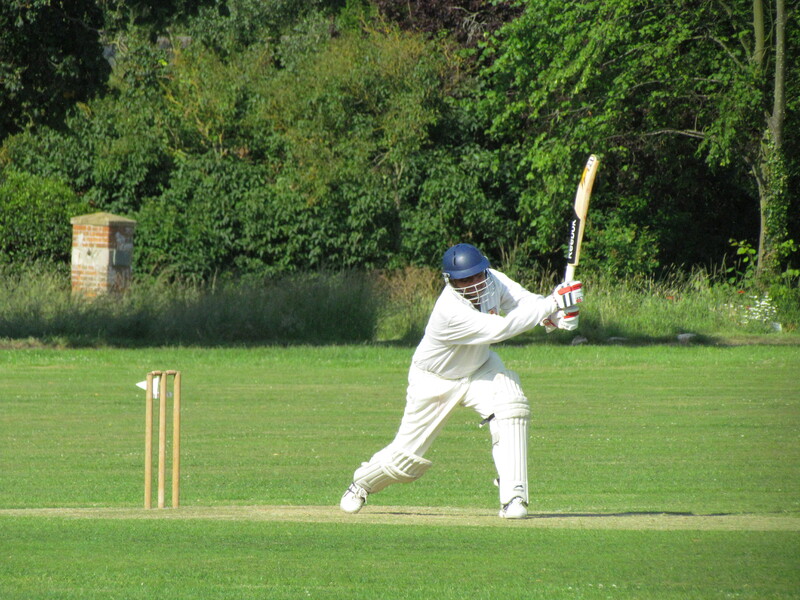 Chetan Malhotra cuts and pulls ferociously on his way to 55 before rashly getting stumped. Ro bats with increasing authority as his innings progresses and finishes 53 not out. Lucy Johnson, a 12-year-old county cricketer, holds her own with the ball. If we’d only hit her bad balls for runs, as requested by Zag, we would have had very little to score off. Raheel Khan sets up the declaration with an elegant 24 run cameo. KCC reach 199/4 with 2 balls left of the 37th over and 2 set batsmen at the crease. The question for the captain is whether to push on for a further 3 or 4 overs to secure an extra 20 or 30 runs to make the run chase a bit harder, or declare early given the ‘weak’ opposition and fading light to come? With Zag’s pre-match words that a 3 o’clock tea would be well timed, David calls his batsmen in and sets Warborough a target of 200 to win. 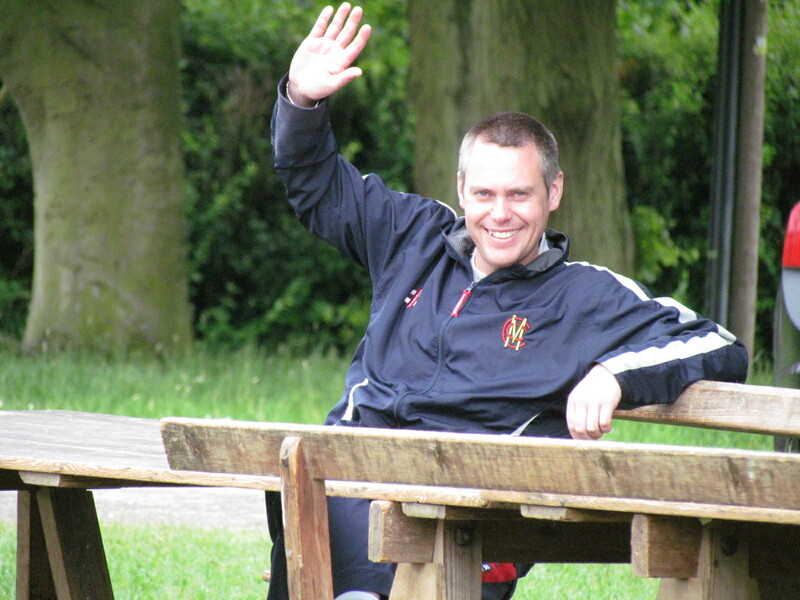 As it turns out, Warborough only require 2 of their 3 recognised batsmen to reach our target. 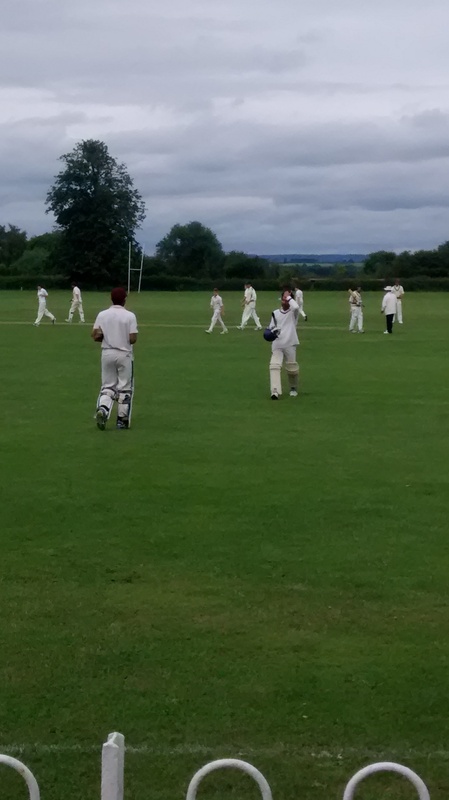 Ian Potter sets up the chase with only a direct-hit run out from David seeing him off. 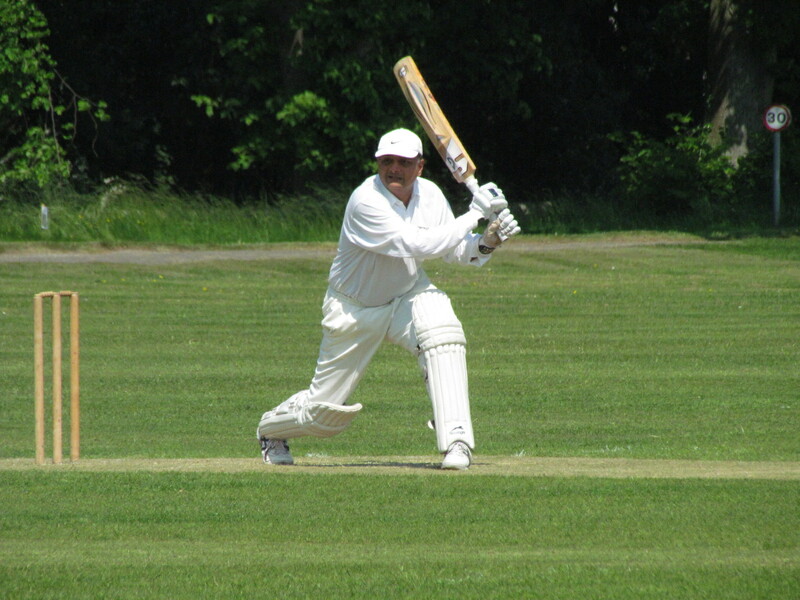 The mainstay of the innings is John Schubach who plays with authority all round the wicket to score 90 before finally being bowled by the returning Tabby. Zag comes in to finish things off and Jonnie Bradshaw is not even required to bat. There are handy supporting innings from Arran Ryde and especially young Barney Mason to hold up an end and see his team home with nearly three overs to spare. Neeraj and Tabrez apart, the KCC attack could not stem the flow of runs. 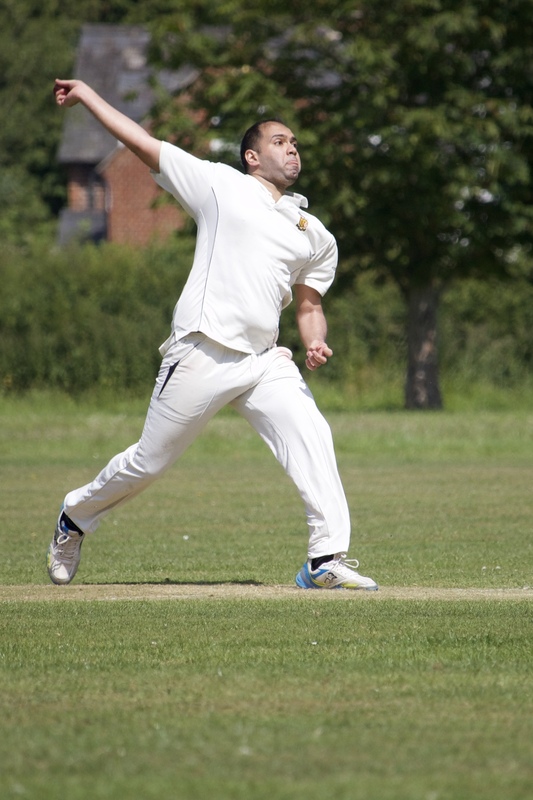 Tabby’s brace – both bowled – means he ends the season as KCC’s leading wicket taker with 19. Well bowled Tabby. The champagne moment belongs to Sledger’s acrobatic wrong-handed keeper style catch over his head at mid on to remove Arran Ryde. Never in doubt, Chris. 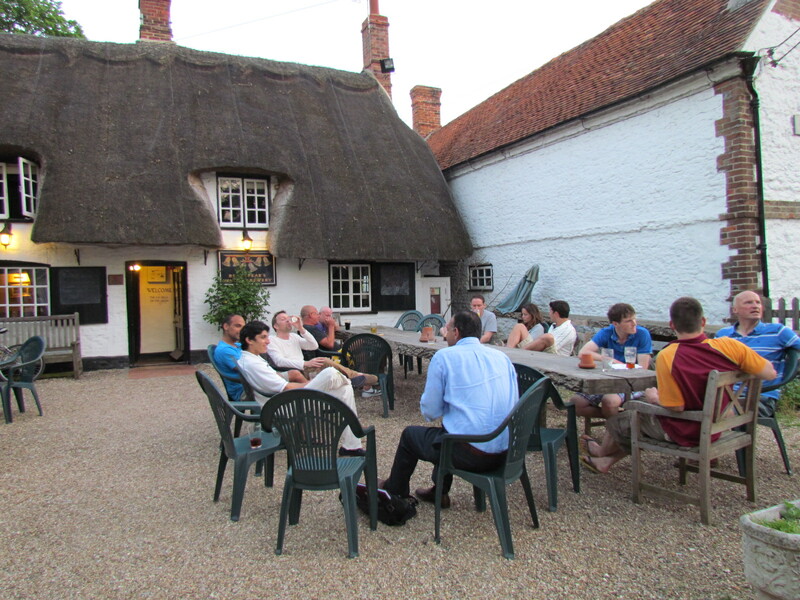 Post-match presentations and beers at the Six Bells follow. Zag is encouraged to lead Brexit negotiations. Surely, we’ll have access to the Single Market and yet have satisfactorily exited the EU if he does. Here’s to next year. 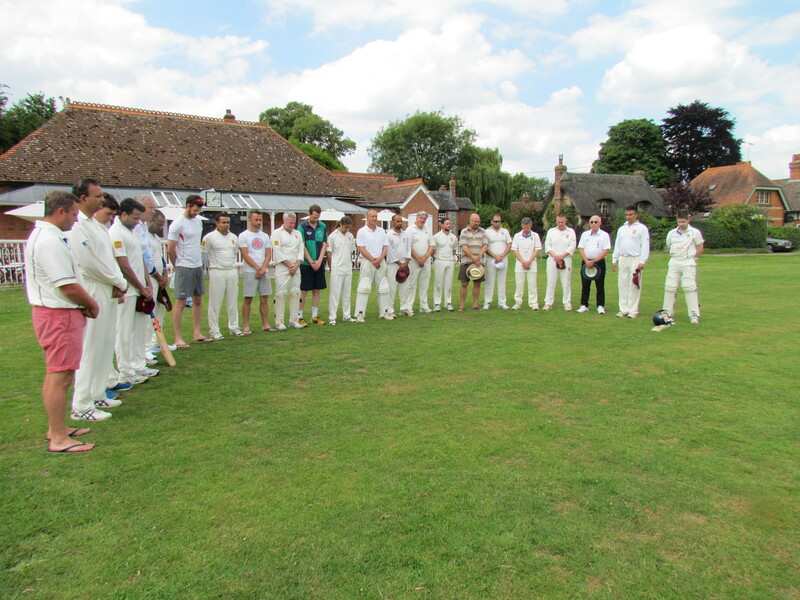 A minute silence was observed in memory of the victims of the horrific fire at Grenfell Tower in Kensington. 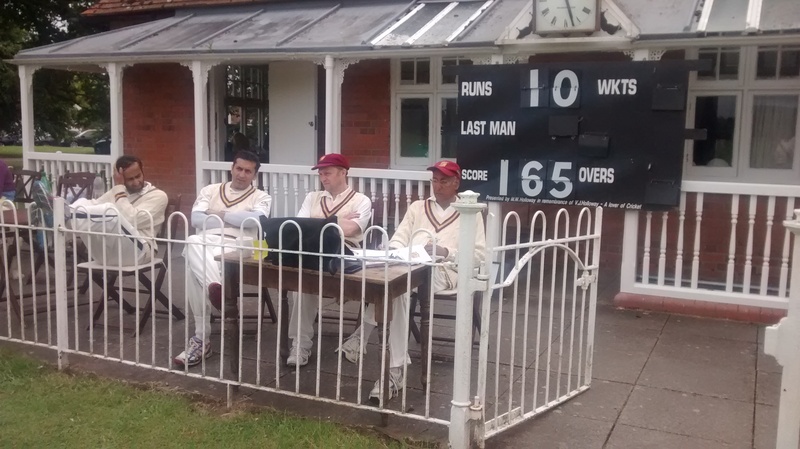 Jamie – “Put your fielders back for Zag, get him off strike, bowl at the other fella. He wants boundaries. He’ll be frustrated and get out”. 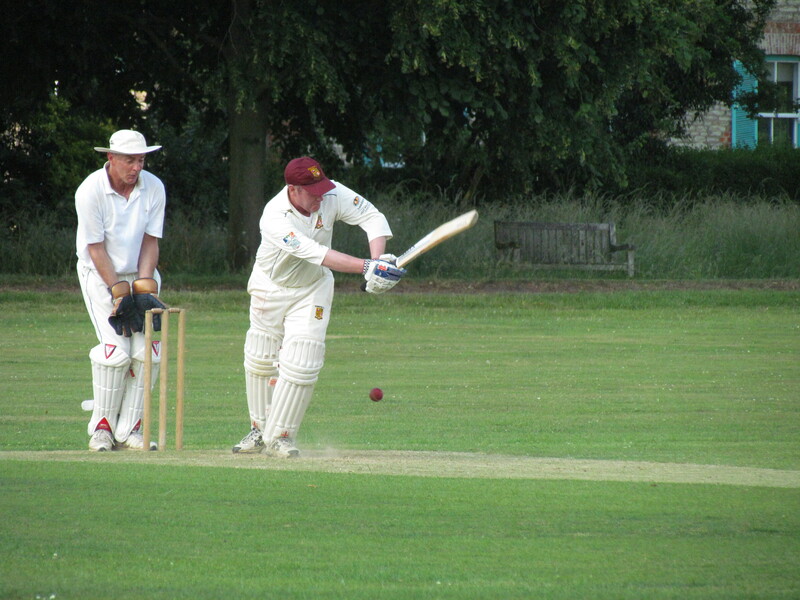 Captain and bowler – “Ok Jamie”. As we all know, sound leadership is often about giving those under you their heads. A good captain will acknowledge correct if unsolicited advice and turn it to the team’s advantage. Matty, Sid and even the Skipper had a go at containment, and it was Sid who got our frustrated man, starved of the strike. Sid claimed 3 other scalps to be the pick of the bowlers. 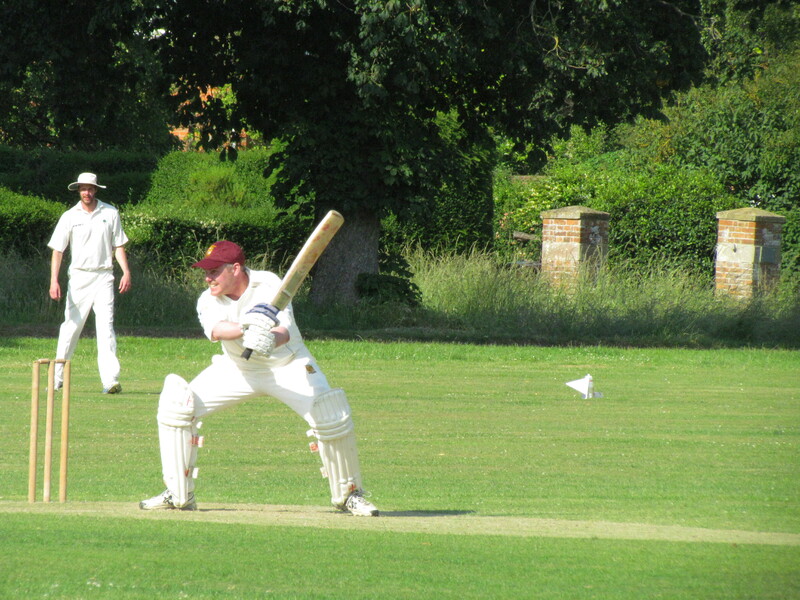 Some late hitting from Chris Ward and Tim Chamberlain got Warborough to a respectable 197. Tim Keleher spliced a pull early in the chase. Then Jai and Matty set a solid 89 run foundation seeing off the dangerous Chamberlain (who in an earlier match had taken all 10 wickets). 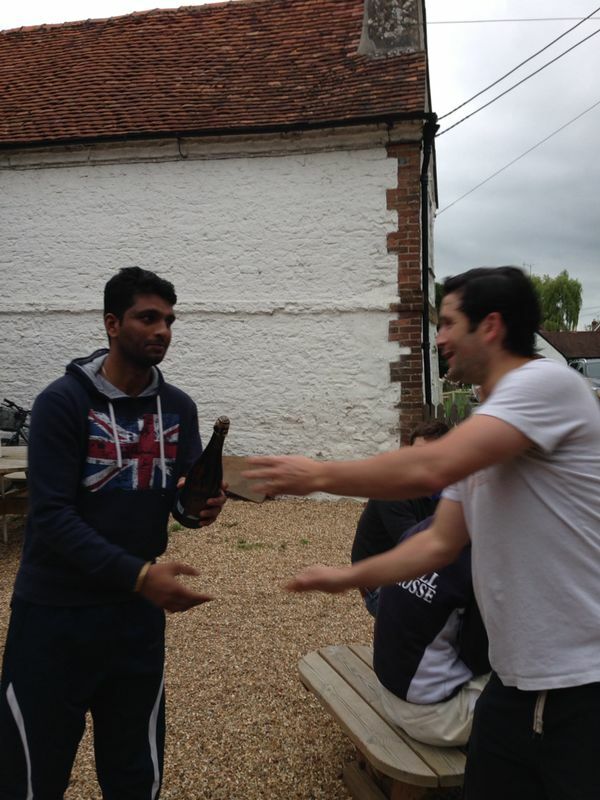 Once Matty went, for a well-made 41, wickets continued to fall but Jai stood firm. When he was fifth out for a handsome 76 the chase was well set up with 61 wanted off 9 overs. The lower order chipped in to keep the run rate up and it was left to Sid, coming in at number 9, to see us home in the last over with a classy 26 not out. There was barely an alarm apart from the inevitable succession of near run outs. 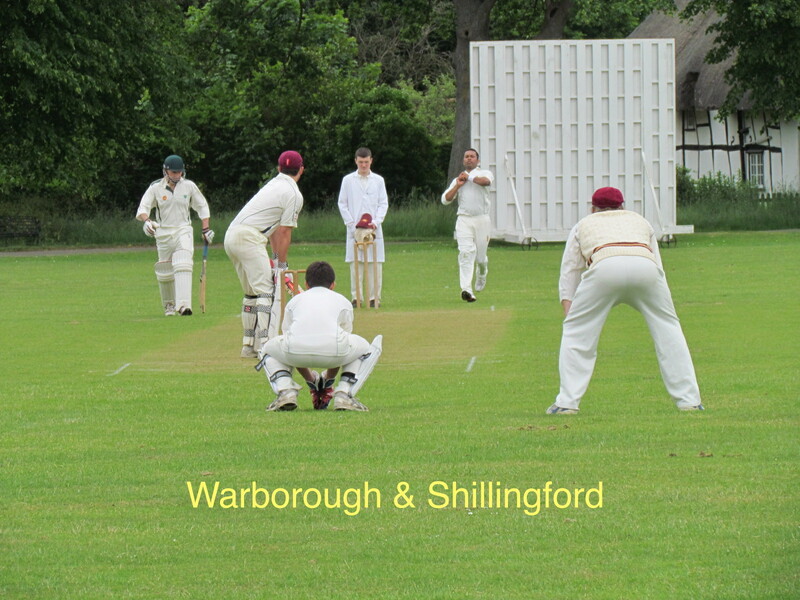 At Warborough, winning strategy is plain and simple – win the toss and bat second. Shahzeb it is not rocket science, why do you always get this one wrong! 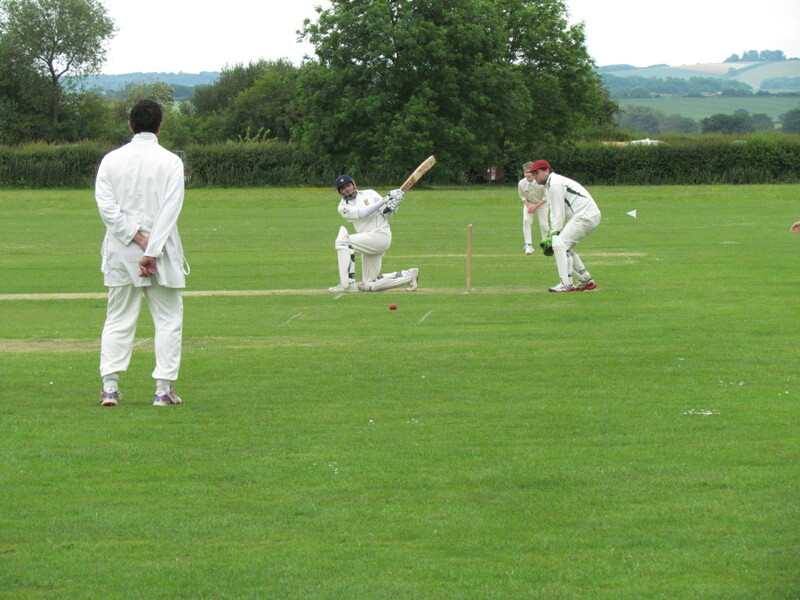 Matt Syddall and Chris started cautiously and did well not to lose quick wickets. Unfortunately, our brave openers struggled to score freely on a very tricky, uneven wicket. 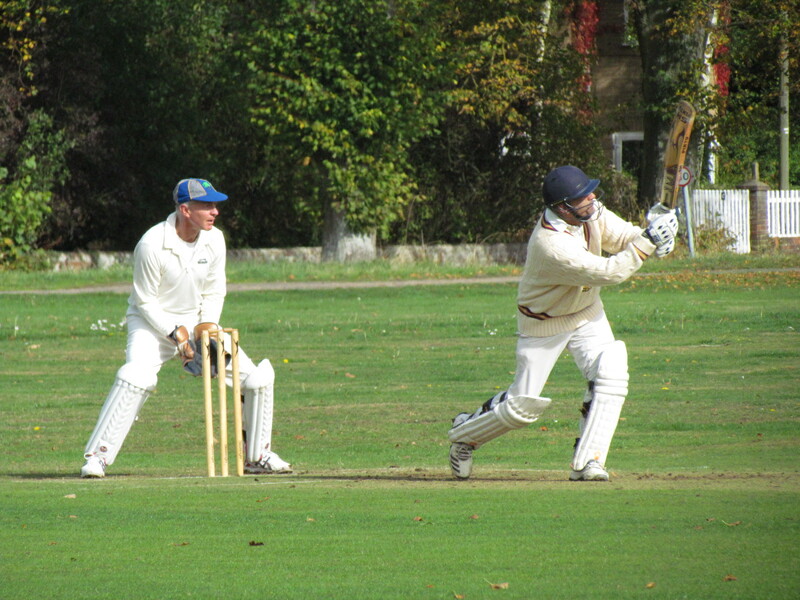 The introduction of Alan Tilley, Warborough’s in-house doosra specialist slowed the innings even further. 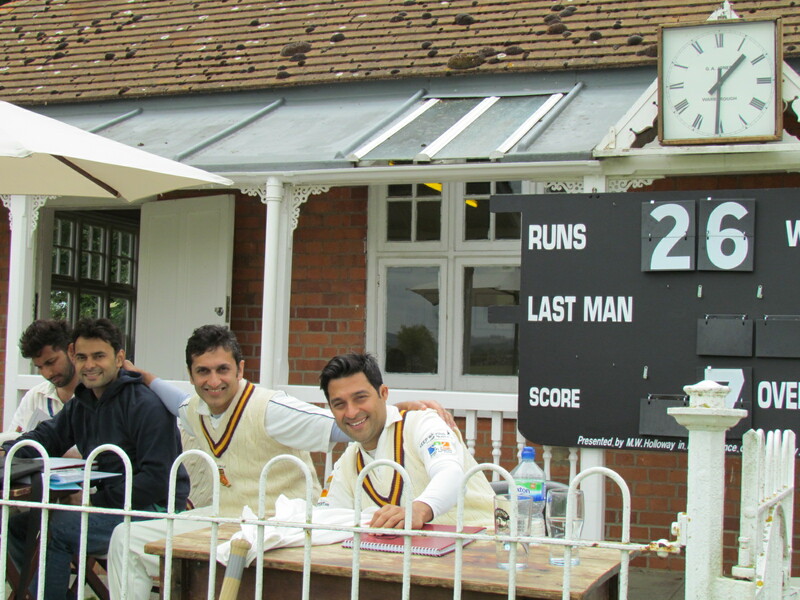 Once Chris and Matty departed with the score on 45 Nitin, Shahzeb and San did not bother the scorers a great deal. Alan wheeled away taking wickets at regular intervals. With our innings in disarray, it was left to our swashbucklers Tabby Khan, with a fighting but careful 30, and Dada (Saurav) Sen with an unbeaten 28 to give some respectability to the score. 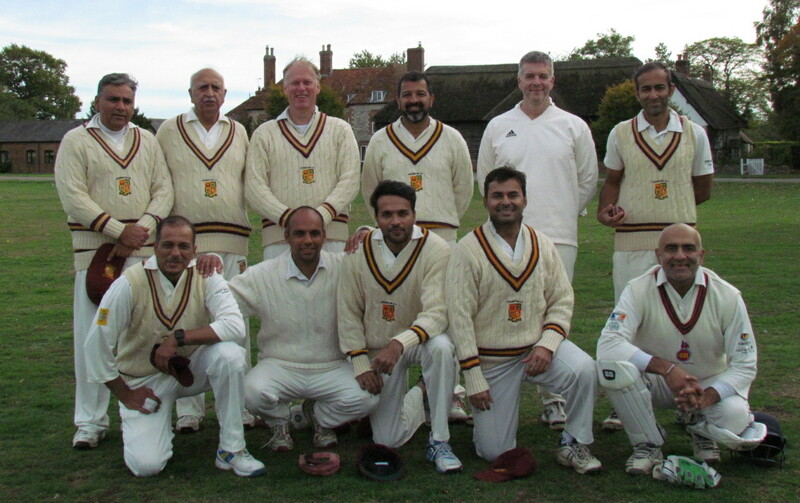 All out for a well-below par 144, but at least we had a total which we could, hopefully, defend. As expected, the track played much better in the second innings. Even so, Saikat and Bernard tied their openers into knots conceding just 22 runs in 17 overs and missed the edge on several occasions. At 58/1 with 20 overs being called we fancied our chances. But with master blaster Jonnie Bradshaw at the crease, it became a totally different ball game. Having started carefully he later smashed our bowlers around the park for a fiery 64. It would have really helped if our fielders had held the chances when Jonnie began to accelerate. Within sight of the target he was well caught in the deep by Chris off the indefatigable Saikat. 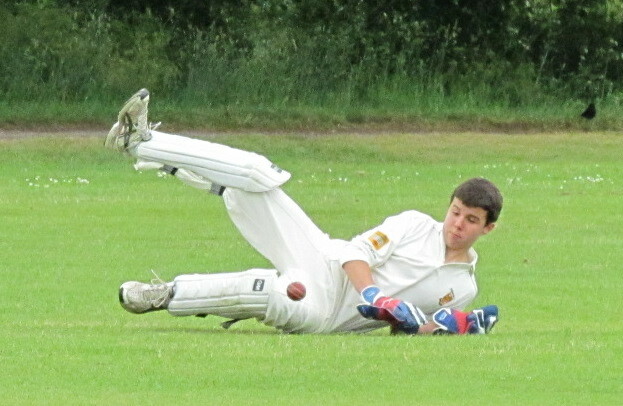 But their skipper James Tilley (15*) ensured they crossed the line with 15 balls left and 4 wickets in hand. Next year, hopefully we will toss with our own biased coin and bat second! For some mysterious reason (was it the World Cup football scheduled for late Saturday night?) this sought-after all-day match was reduced to an afternoon game, sans the traditional lunch and port under the oak tree. On a sluggish wicket due to mid-week rain the home team started cautiously at under 3 an over with Wajid and Khush mostly unplayable. Akhi and Matt Marshall took over the attack and it was Matty who drew first blood bowling Freddie Iswariah for 10 in a stand of 83. His dad, Rohan, joined Jonnie Bradshaw who was now finding the middle of his bat and together they built a solid platform. 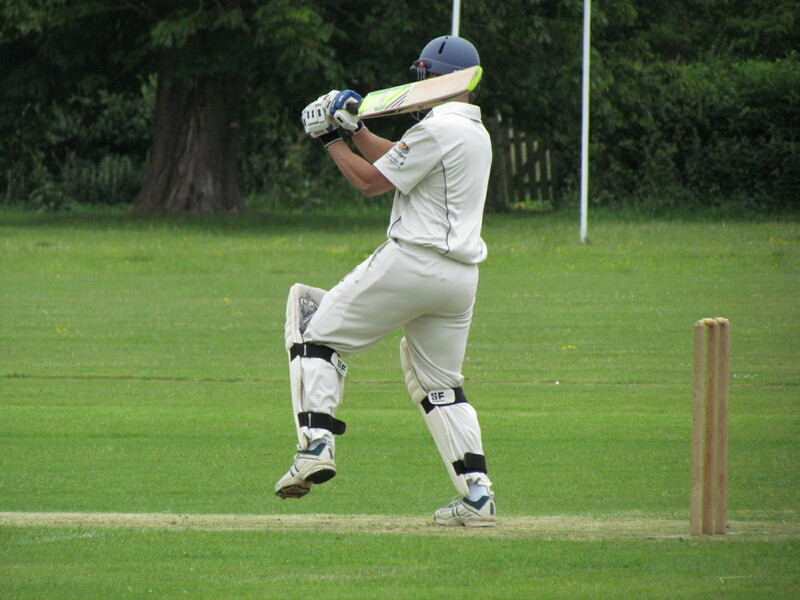 But the expected batting assault did not happen, despite the many outfield catches being dropped, as KCC plugged on and the overs ticked away. Finally, Jonnie’s innings ended as Akhi caught him in the deep off Amit Shanker who then picked up a further two wickets before the declaration. 166 was not a difficult target, but with the slow pitch it proved to be a challenging one as wickets began to fall at regular intervals. The cream of KCC batting appeared quite unused to the ‘sticky wicket’ conditions as the top seven batsmen crumbled to 85/7. 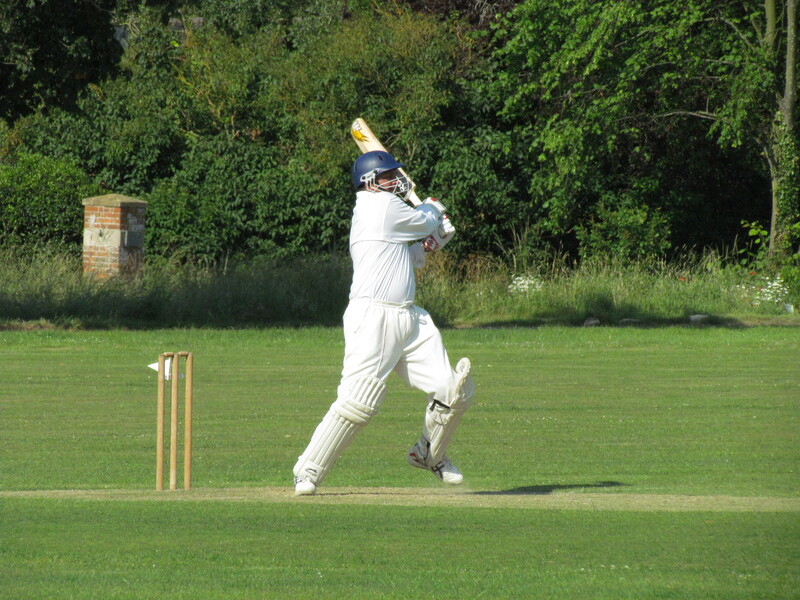 With 12 overs to go and defeat staring us in the face, San with his experience played a captain’s innings eking out twos, and pushing singles to stay on strike to shield no.9 Akhi. 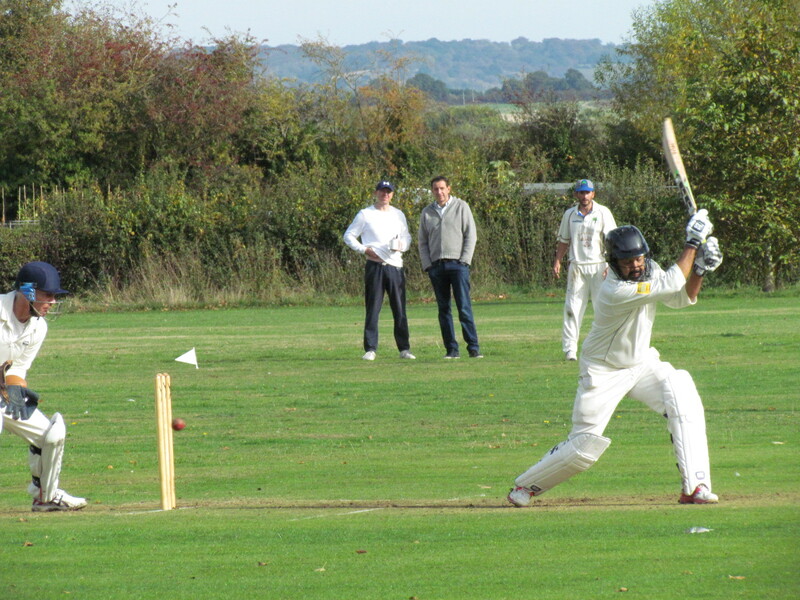 But Akhi showed that he could cope too and began confidently hitting lofted drives for 5 fours and a six. 16 runs were required with 2 overs left. San was then run out in trying to give Akhi the strike. It was left to Wajid in the last over to finish the game in style with two brutish fours. 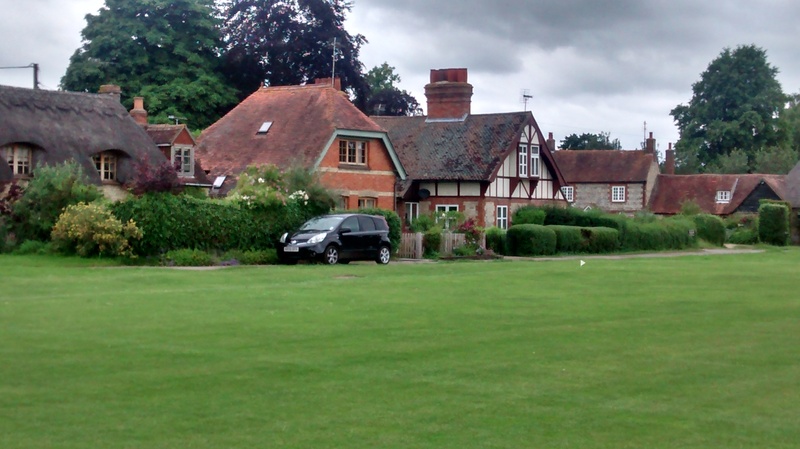 Ominous skies and cool conditions greeted us as we arrived at the Warborough village common, in rural Oxfordshire. The forecast had looked dodgy all week, but the draw of lunch under that beautiful oak tree amidst idyllic movie-set surroundings is always strong. 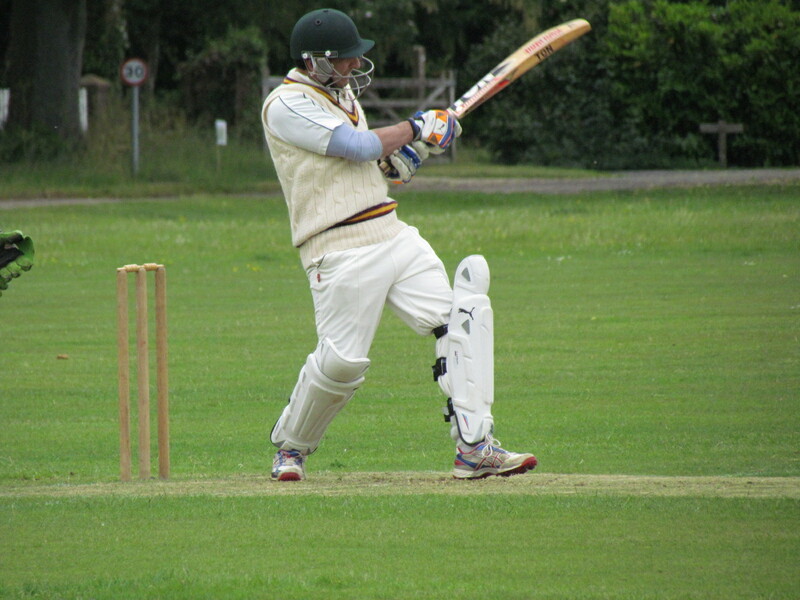 The Warborough pitch is never easy to bat on, especially early in the day. A bit up and down. And very, very slow. So upon winning the toss, skipper Rohan had no hesitation in inserting the opposition. 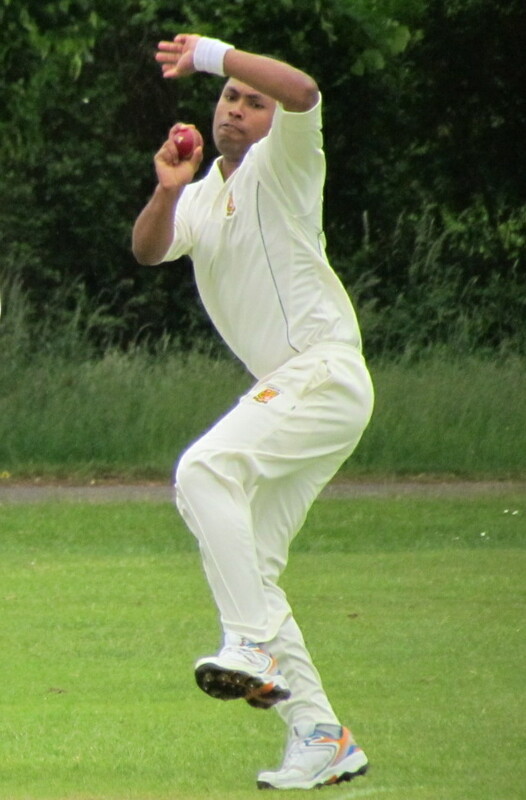 Bernard (13-5-32-1) and Saikat (12-3-22-1) opened the bowling and utilised the conditions brilliantly, conceding less than 30 in the first fifteen overs, whilst picking up a wicket. But No. 3 Bradshaw and No. 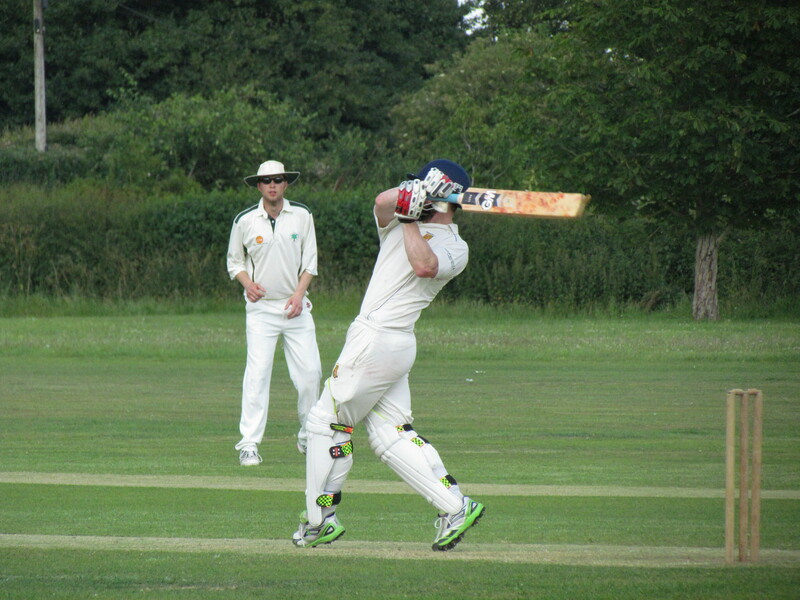 2 Leach batted with gumption, taking plenty of balls on the body off a length, playing and missing several more. 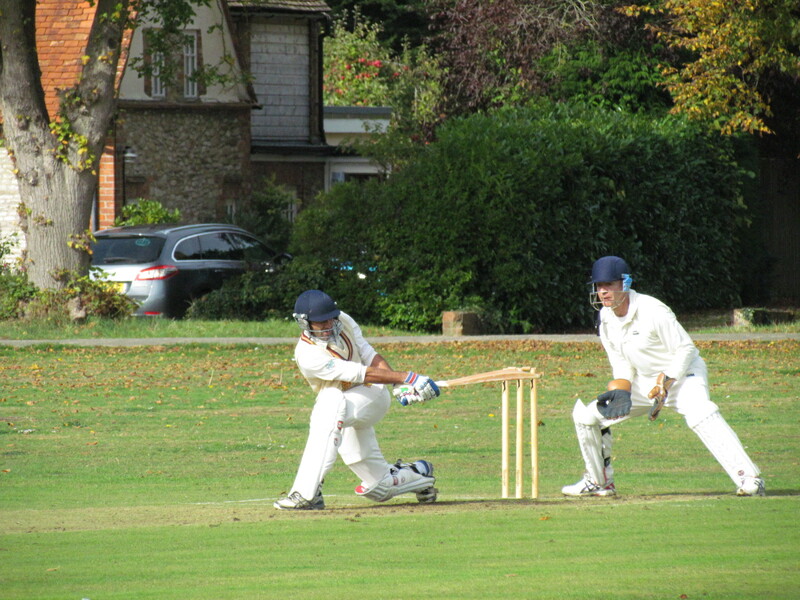 Particularly Leach, who eked out nine hard-earned runs before being bowled by Khush in the 22nd over. After a fine lunch, sadly taken indoors due to the constant drizzle, the match resumed. The sun suddenly appeared, almost instantly paralysing a well-fed KCC. Warborough wasted no time in stepping up the tempo as Gabriel and Eddy, strayed in length, clearly still getting over the shock of curry, port, plenty of wine and cheese. Bradshaw (49) smashed one to extra cover going for his fifty, where Rohan took a superb catch to dismiss him off Bernard. 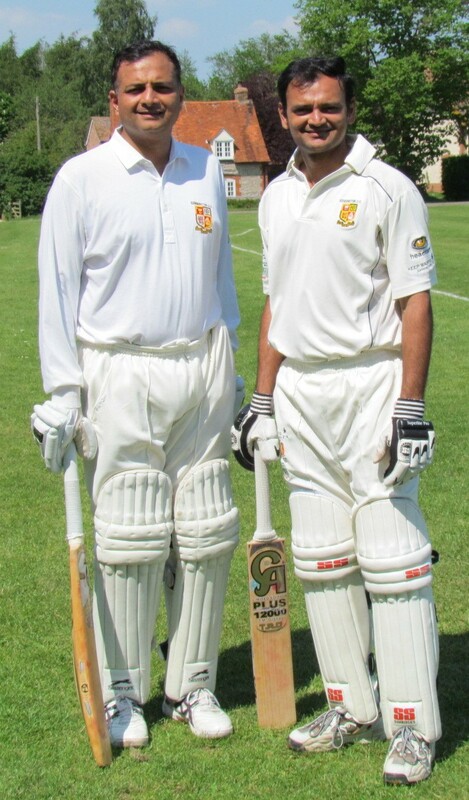 However, his erstwhile partner no 4 Ishwariah (62*) carried on bravely, taking Warborough past 200. The innings was then declared at 202/5 off 51 overs. Good effort boys. Never mind the 31 extras! 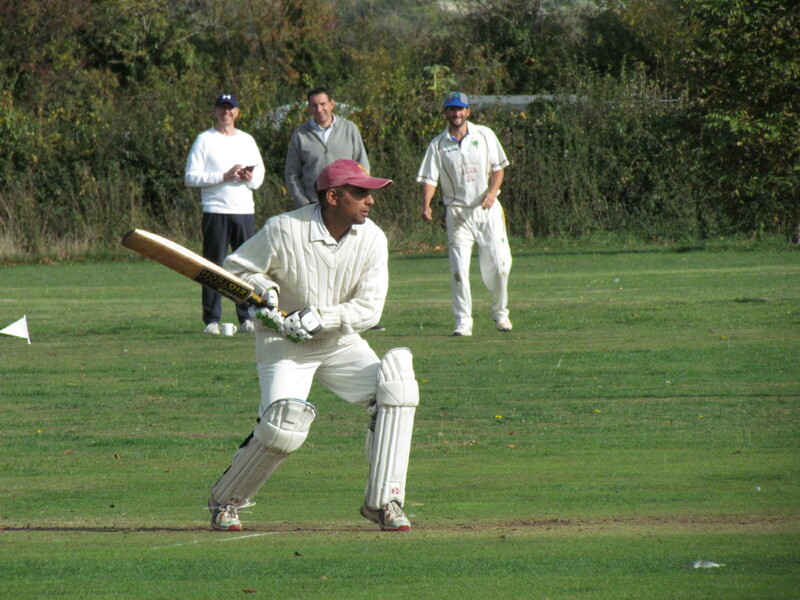 The KCC run chase was a comfortable one, dominated as it was by a thoroughly classy 129 not out by Ajit Ramsagar. Watchful at first, Ajit timed his innings beautifully, opening up his shoulders to stroke 16 fours and a six, guiding KCC to victory with 3 overs to spare. San (30) and Matt (20) provided good support. As did Bernard’s younger brother, Dan, visiting from South Africa. Much to the pride of Mum van Vuuren, who watched patiently all along. Last week, I finally saw the telly commercial that was recently shot at the Warborough ground. The pitch still looked dodgy. But what a ground! There are several reasons for calling the oppo before the game. Primarily it is to ensure everybody agrees that there actually is a game, that all is well and to ensure an intelligent call on the weather when the forecast looks bit iffy. It is also right and fair to inform the home skipper if you are suffering a few late call-offs and need to field 10 men; or 9 men and a boy; or a girl. In any case it is better all round if these things are out in the open. And of course you have to tell people each and every time you are going turn up with a Test player. Matt may have used the words ‘first class player’, but really meant ‘Test player’. Recent Test player, not Ted Dexter in a corset. 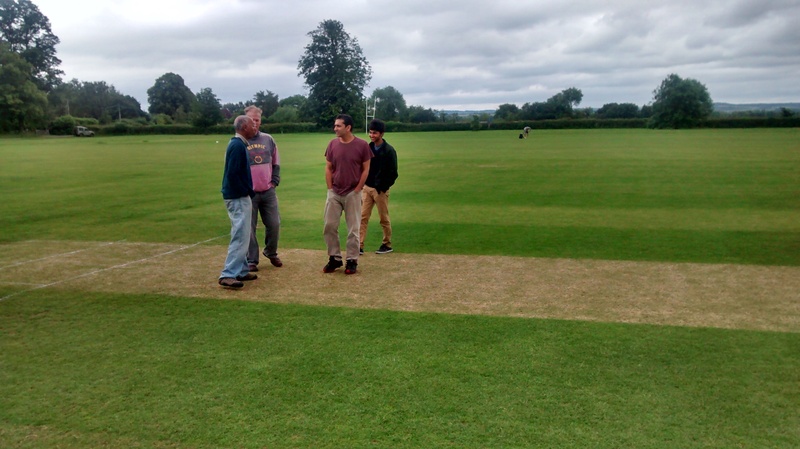 So, thanks to Neeraj, Hemang Badani was added to the teamsheet for the annual trip to Warborough, the perfect game for a guest – all day, wonderful setting, lunch under the oak tree – delightful. It’s a delicate balance of course. You don’t want to show up and watch your guest eclipse the whole match, but they must get a shot. Be a shame to show up and not get a shot. None of these worries surfaced as Jai Singh battered a classy 100, using his reach to hit good length balls through the covers, murdering anything short and keeping the Indian international on the sidelines. When he did reach the crease, Hemang (inset with Jai) was watchful, almost scratchy, for 2 or 3 overs before timing the ball exquisitely to all parts on what was a slow wicket. 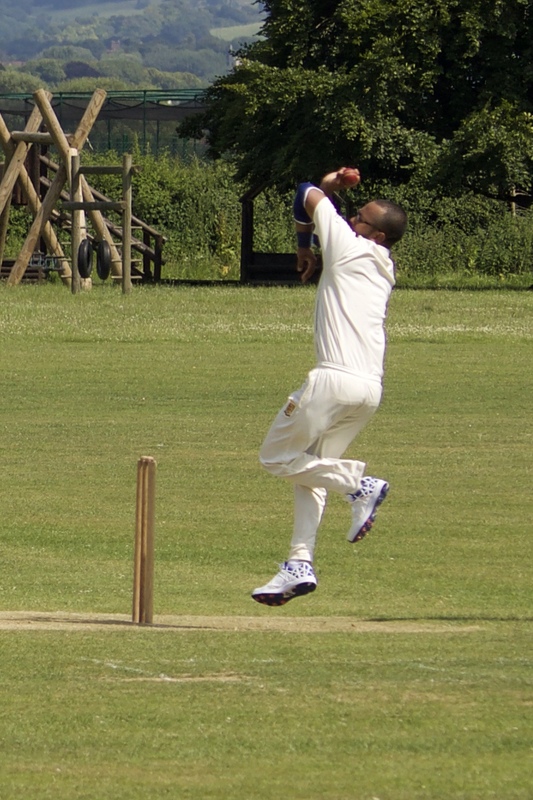 250 was always going to be a big chase and, despite Bradshaw and Crossdale both getting starts, Aditya zipped it about off the seam and used his height to great effect in taking all of the first four batsmen and putting KCC on course for the win. Regular wickets fell to the other bowlers, including Kinder who had threatened with some big shots, but the young W&S tail was stubborn. David Leach in particular, mixing defence and aggression as required, reached a deserved fifty, and, supported by Marcus Ward, saw off a Test star’s hugely turning left arm spin, punctuated with the occasional quick arm ball, to secure a well fought draw and win bragging rights for the rest of the season. 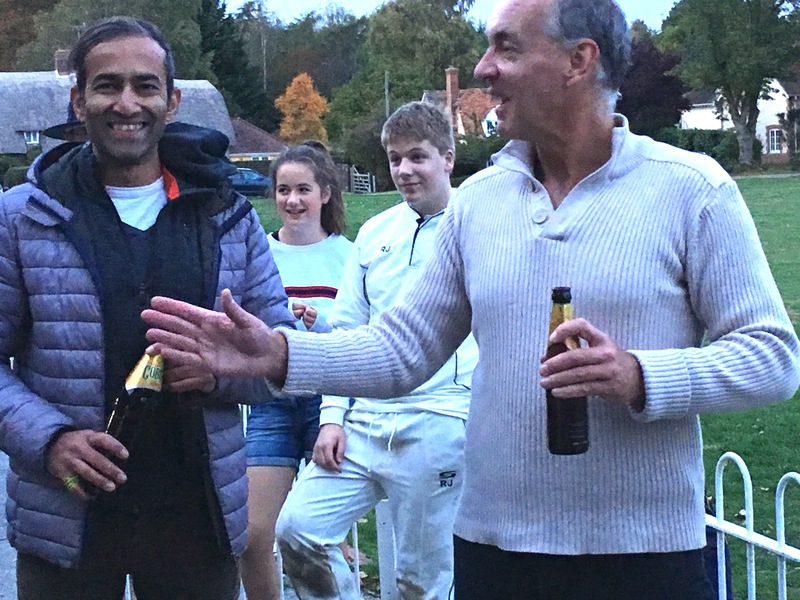 Thanks to Warborough for being such gracious hosts and to Hemang, who played in exactly the right spirit and showed us what a classy player he is. We wish him every success with his cricket academy in Chennai; would love to have him back anytime. 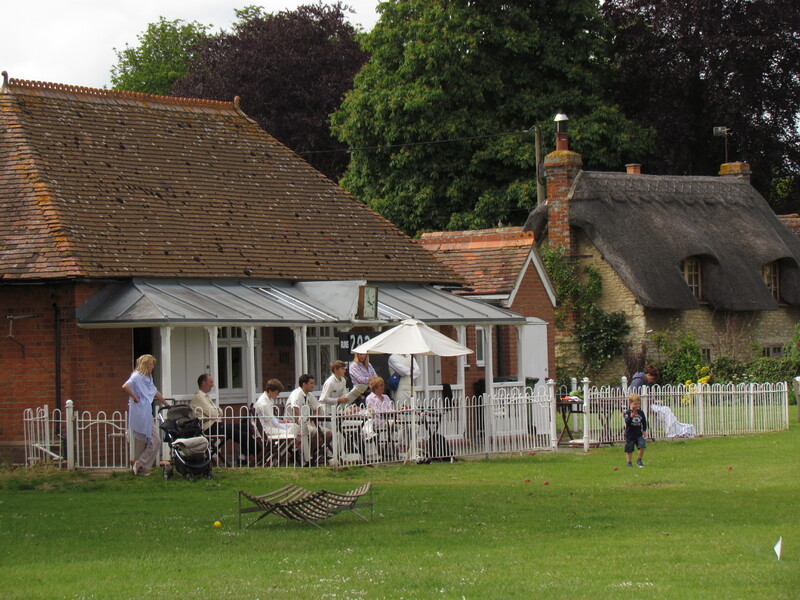 A close game in this traditional all-day fixture at this pretty Oxfordshire village ground. San won the toss and chose to bat first, but soon rued his decision as we crawled to 9 runs in 7 overs before Amit Shanker was caught behind. The tempo did not pick up and wickets began to tumble, Gabriel and Rohan falling cheaply. 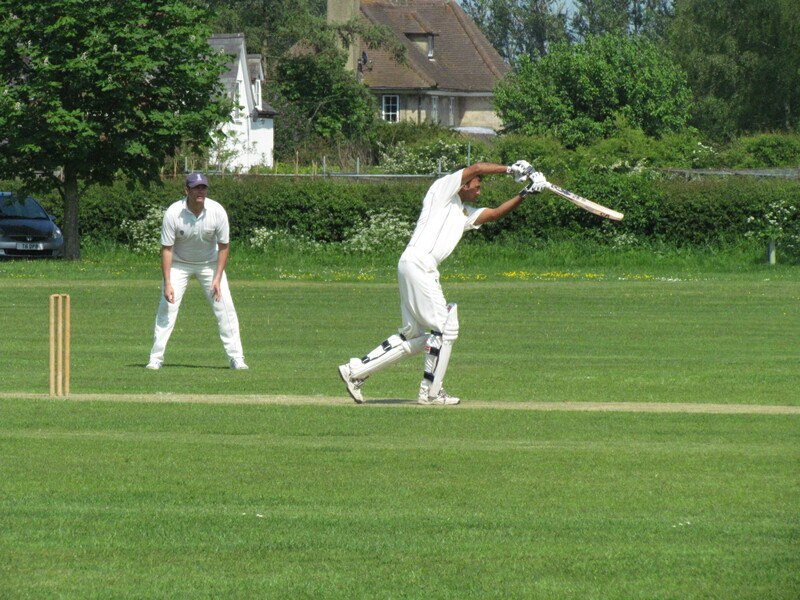 Neeraj was fourth out at 24/4 having edged his way to 6 in 43 balls. Although dampish, was the wicket that bad? San looked a million dollars as he stroked his way around, but then unaccountably missed a straight(ish) ball and was undone by an lbw decision. 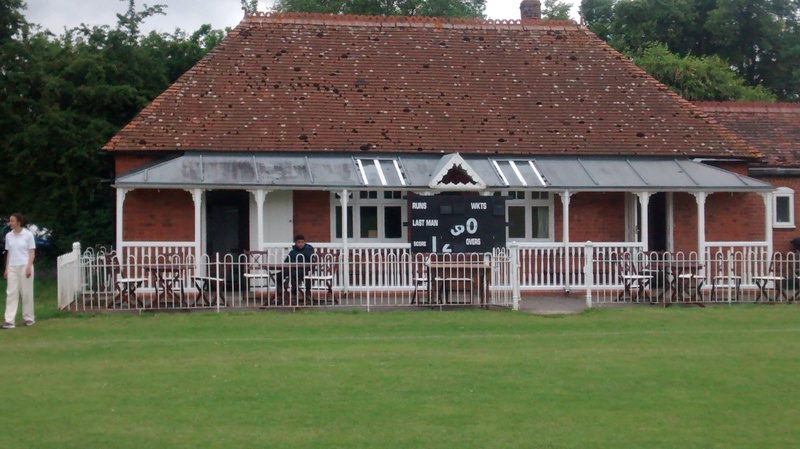 Shahzeb and Mark Oppe began to repair the damage and KCC went to lunch (under the oak tree, of course) at a precarious 87/5. 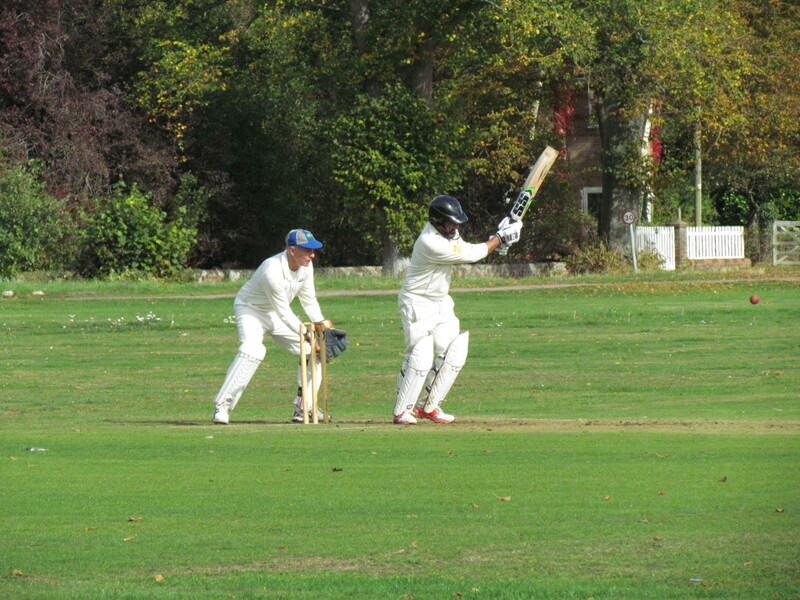 Once Mark and Tabby fell Shahzeb finally found his rhythm, reaching his 50 with the first six of the innings then racing to 85 in 11 balls before holing out. The 71 run stand with Mirza Beg brought respectability enabling San to declare with prospects. 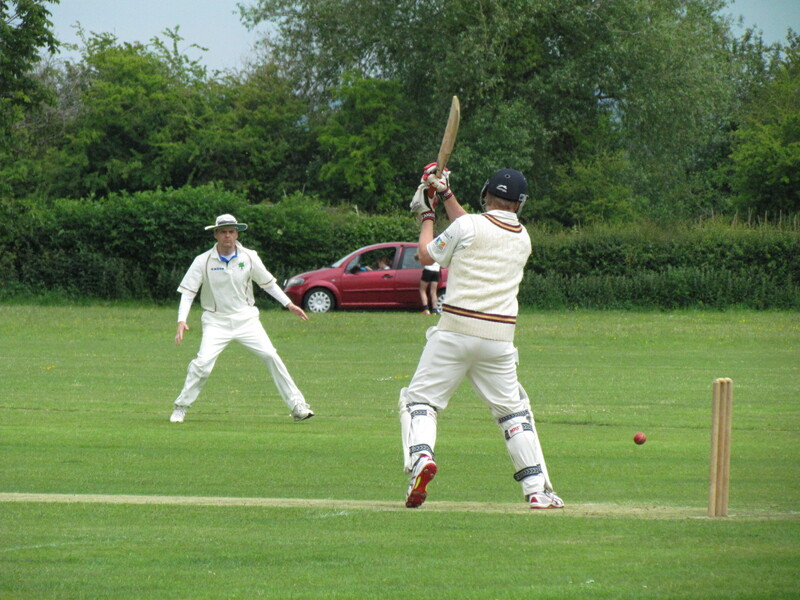 But despite an early wicket the hoped-for crunch into Warborough’s top order in the 12 overs before tea did not materialise. 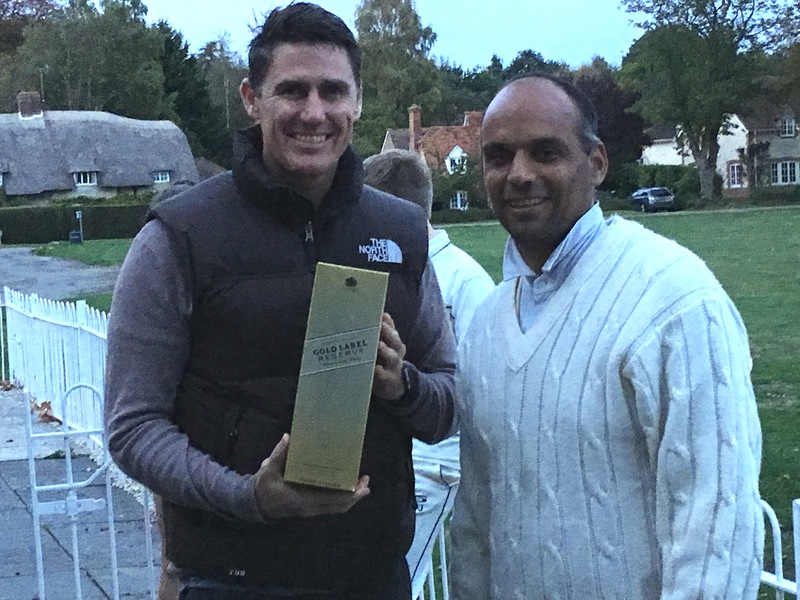 Bradshaw and James Tilley provided a solid foundation and looked to be cruising to an easy win until Neeraj Nayar stopped them in their tracks with his stuttering off-zeaters, bagging 4 wickets in all. Suddenly the game was wide open. 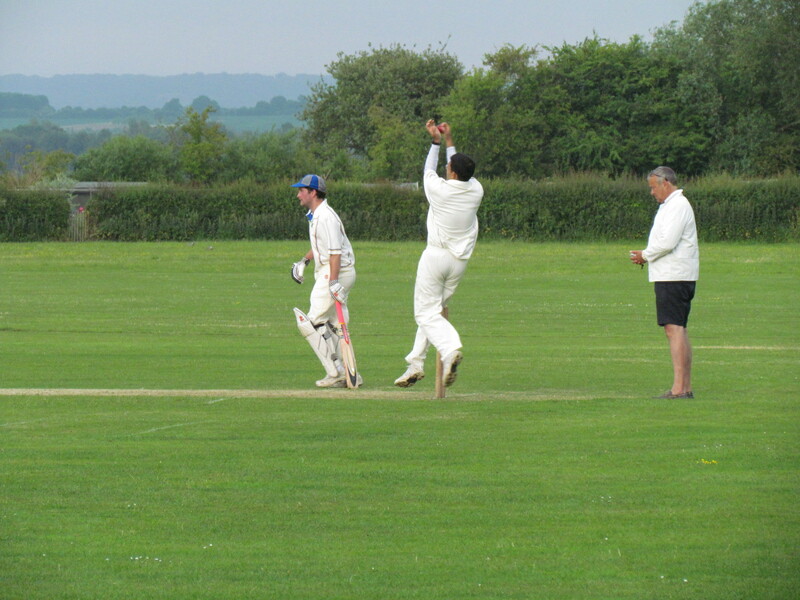 Two good catches in the deep off Amit and we needed 2 more wickets with 15 to defend. Well, actually only 1 wicket as their 11th man had left early. 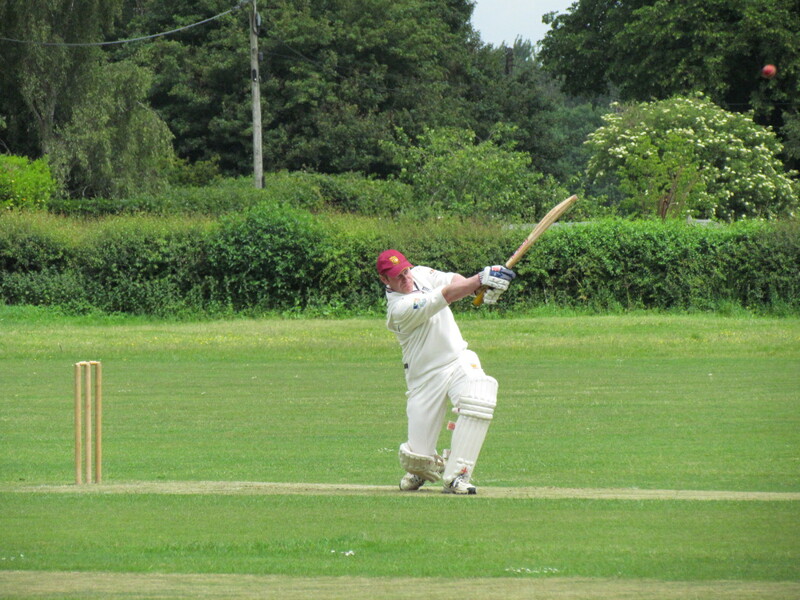 But Fitchett played it cool and saw Warborough home with 4 overs to spare.